Our club specialises in Australian Native Plants and Trees as Bonsai. We’d love for you to be part of our club. Feel free to browse our content rich website and for more information on how to join so you can be part of our community and gain access to other specialised videos, events and our species database, please click here. Now less than a month away, but bookings are still open – this year’s AABC Convention, hosted by the Victorian Native Bonsai Club, and once again to be held in Melbourne. 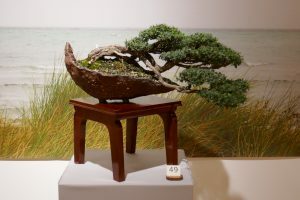 This 2019 Convention, titled “Australian Natives Breaking Through the Bonsai Ceiling”, will highlight how the unique range of Australian native species can bring another unique contribution to the ancient Japanese art of Bonsai. A major highlight of the Convention, of course, will be the demonstrations, workshops and other chances to experience the special skills of Ryan Neil of USA. 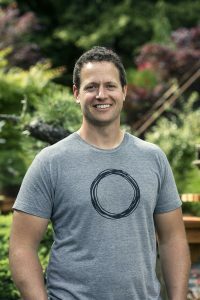 Some of us will have been part of previous demonstrations and presentations by Ryan during his previous visits to Australia, and we are looking forward to seeing him adapt his expertise and artistry to Australian native species. And combine this with the other presenters who will be demonstrating their skills, their artistic flair, and their experience in finding the best bonsai in Australian Native Plants! Hugh Grant challenging us with his unique artistic vision and expertise; Roger Hnatiuk with his wide botanical and bonsai knowledge and his special artistic flair; Quentin Valentine combining his own vision, experience and skills in bringing out the best in a wide range of species; and the other growers contributing their knowledge and experience with Australian plant species. 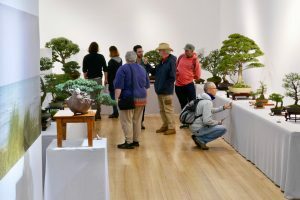 Combine these with an exhibition of some of Australia’s outstanding Australian species bonsai, and an extensive set of bonsai trading tables – What a feast of bonsai on this weekend. To find out more about the Convention program, the presenters, and all about the dates, locations and registration, jump to the links which you will find elsewhere on this page, which will take you to all of the relevant information. 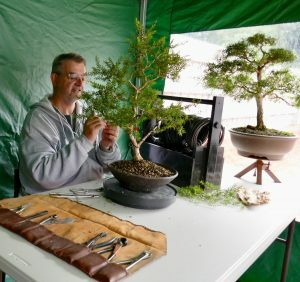 There is still time to get your booking in for this premier national bonsai event – Act now to secure your place. In particular, don’t miss the opportunities to book for the Welcome Reception on Friday night with a preview special for the Exhibition, and for the Convention Dinner on Saturday night. The Welcome Reception is a great chance to meet the presenters and others attending the Convention, while the Dinner includes presentation of awards, and an auction of some of the demonstration trees. Convention workshop spaces have been filling fast – the last two workshop participant spaces are now available with Hugh Grant on Monday afternoon. 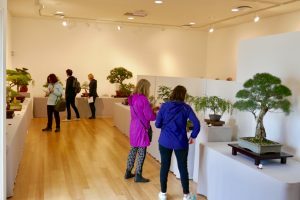 Convention highlights on Friday 17th May – Australian Native Plants galore, the secrets of local bonsai pottery-making, and a look through a fascinating art museum. The two tour options available to book both promise to be fascinating and entertaining events. Tour 1 visits Marg Fenn’s Hachinoki pottery studio, followed by lunch in Heidelberg, then a visit to the Heide Museum of Modern Art, with a premium guided tour of the Gardens and the Heide Gallery. Tour 2 travels to the Royal Botanic Gardens, Cranbourne, for a fascinating tour of one of the best displays of Australian native plants in Australia. This is one of the best places to experience an extraordinary display of Australian Plants. Check out the Convention handbook for more information about these two tour options. These a just a few of the pictures from last year’s VNBC exhibition of Australian native plants as bonsai, held on the weekend of 14th and 15th of April 2018, at Domain House, adjacent to the Royal Botanic Gardens, Melbourne. A full set of photos of the trees in the display is available to view in the Photo Gallery section of this site. 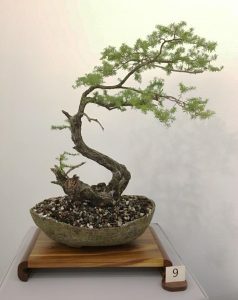 Interested in becoming a Member of the Victorian Native Bonsai Club? If you are not already a member of VNBC, are you interested in joining and becoming a member of the club? 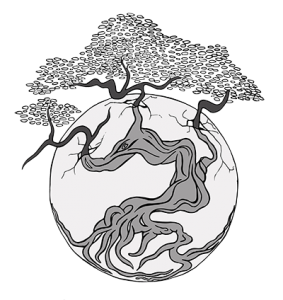 The benefits of membership include full participation in all club activities and programs, receipt of the club newsletter every month, and access to the club’s building database of our experience in Australian native species as bonsai. Club membership now also includes access to video recordings of the presentations at each meeting, which can be especially useful to distance members and others who may not be able to attend a meeting.